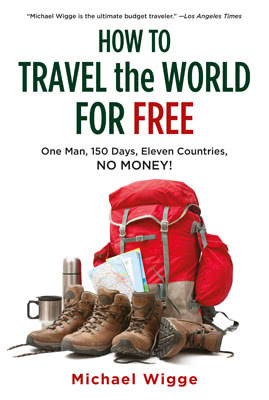 Motivational keynote speaker Michael Wigge has a background as certified business coach and travel author. He has documented his “challenge for change” success principles for the international television market in four internationally acclaimed books. The top motivational speaker developed his MWCC speaking and challenge coaching programs from his “challenge your comfort zone” experiences—and uses what he has learned to help his clients find the corporate changes they seek. As motivational speaker, he went as a guest on the Tonight Show with Jay Leno, guest-starring Katy Perry and on the Today Show. Angelina Jolie even called him ‘a crazy but fantastic man’ when he worked as a MTV host for the European market. 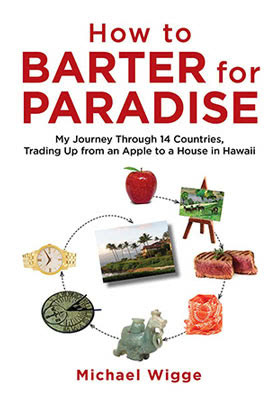 The award-winning travel show host (PBS) and motivational speaker for Austin and Houston is focusing on challenges like ‘How to Travel the World for FREE’, ‘How to Barter for Paradise’ (it’s definitely possible to turn an apple into a house!) 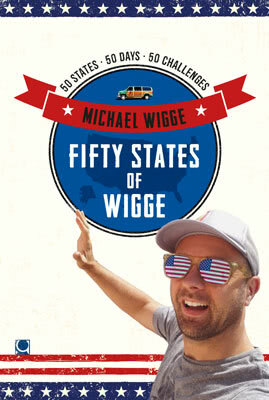 and ‘50 States of Wigge‘. The TV adventurer serves nationwide as a motivational speaker but especially focuses as a on the Texan market including Houston and Austin. 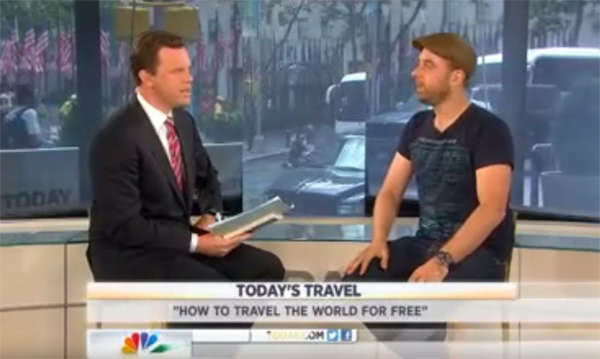 Get a free quote for next next event booking directly from Michael – no bureau or agent! 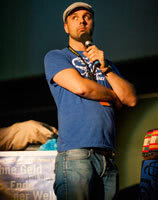 Houston top motivational speaker Michael Wigge offers outstanding 60-minute keynote sessions. In these power-packed sessions, keynote speaker Wigge identifies your audiences’ roadblocks, sets goals, and creates an action plan that moves your conference audience toward a business life that is both fulfilling and rewarding. 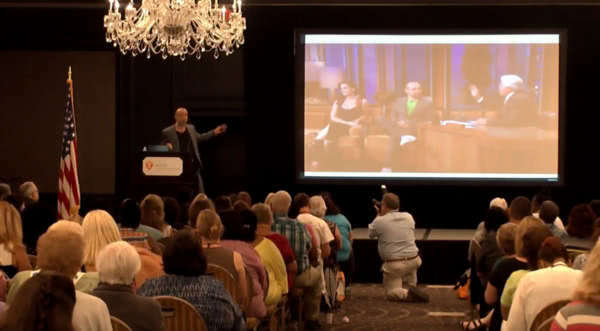 The Austin and Houston, Texas top motivational speaker enables audiences to hone in on what everyone is really about. Although needed business changes are often easy to identify, they are not always simple to make. The power of habit can either be an anchor holding us back or a springboard shooting us forward; it’s all a matter of practice and perspective. The right motivational keynote speaker will guide your audience through the process of making the business changes that matter most. Check out Wigge’s inspiring five star reviews in the review section of this site! 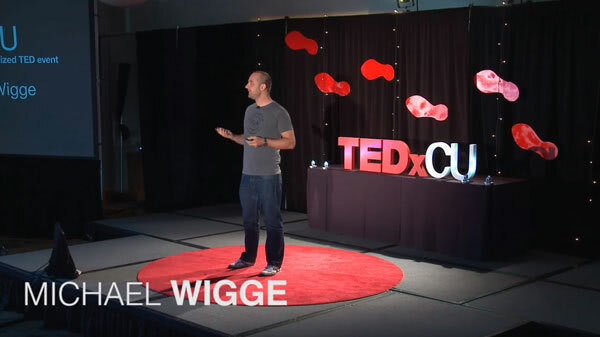 After each keynote, motivational speaker Wigge offers to the audience what he calls “fieldwork.” This is where everyone tackles the challenges that force oneself to leave their comfort zone and practice the new habits that will lead to the professional changes everyone is after. 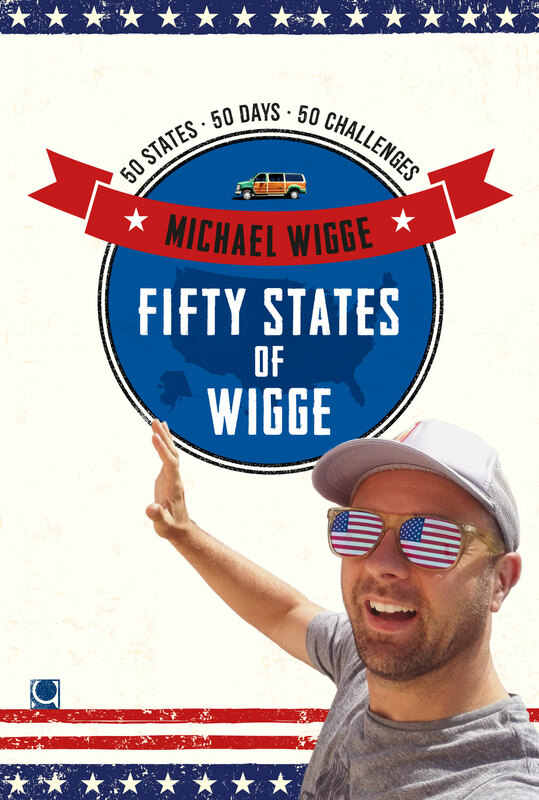 With his experiences of his great adventures, the motivational keynote speaker Michael Wigge serves Austin and Houston, TX with keynotes entitled “Challenge-4-Change Leadership Success”, “Challenge-4-Change Sales Success” and “Challenge-4-Change Power Motivation”. Austin and Houston are two of the most important commercial areas in Texas. You can absolutely feel happy to have your conference in one of these lively places! Austin has about 1.5 million inhabitants and is known for its arts and music scene. The city of Austin offers about 200 music venues and the incredible number of about 2,000 bands and performing artists. How could a conference in this creative place be less than perfect? The US News & World Report even voted Austin as the best place to live in the United States in 2017. Houston counts as the United States’ fourth most populous city after New York, Los Angeles and Chicago. Its 2.3 millions residents represent a colorful and interesting mix of ethnicity. Almost 150 languages are spoken in the city. The GQ magazine entitled Houston as “New Capitol of Southern Cool”. The city offers – besides coolness – an incredible offer of natural and recreational opportunities to its residents and visitors as well: Four out of the United States largest city parks are located right in the heart of the city! The motivational keynote speaker has been known as challenger, speaker and coach for many years. 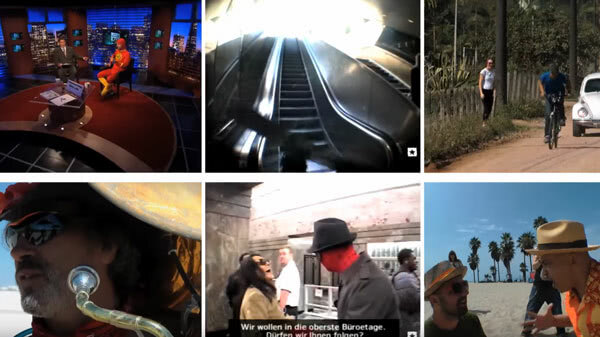 European native Wigge follows a hybrid style of motivation, comfort zone-leaving messages and entertainment. 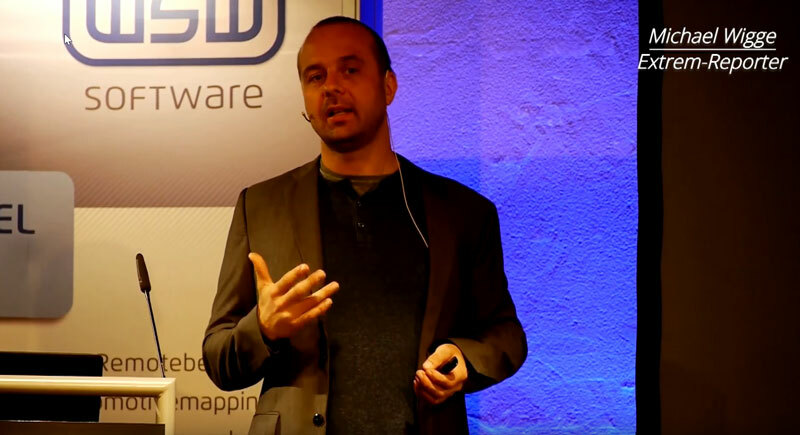 He calls it a mixture of experience, challenge and humor that characterize his unique projects. Michael delivered keynotes at the Austin Convention Center on 500 East Cesar Chavez Street in Austin, TX 78701 and at George R. Brown Convention Center on 1001 Avenida De Las Americas, Houston, TX 77010. The award-winning travel reporter usually likes to stay in the W Austin in Austin, Texas. This beautiful upscale hotel on 200 Lavaca Street, Austin, Texas 78701 USA serves its costumers on an incredible level. The Driskrill is another recommendation by Michael, who has tried this beautiful hotel, too. Just check out both, and make up your mind. In Houston, TX he likes to reside in the Magnolia Hotel. This perfectly shaped hotel will be an unforgettable experience for everyone who likes comfort and incredible service combined with a tasteful interior. More info and reviews on Wigge’s event booking profile at ‘‘Gigmasters and Bigspeak”. Michael will contact you immediately. Michael Wigge can be booked for motivational speaking by the industry, by institutions, and by colleges all over the U.S. and Canada.